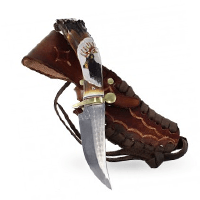 Welcome to SilverTribe.com - The online leader in Native American, Southwestern and fashion jewelry. First-time visitors and Native American jewelry enthusiasts alike may find themselves wondering who SilverTribe is and why SilverTribe jewelry is so popular. 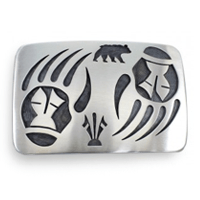 SilverTribe’s unparalleled collection of art and Native American jewelry has received rave reviews from all corners of the world. 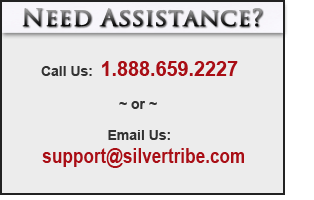 However, though recognized as a trend-setter in the world of both Native American jewelry and fashion jewelry, SilverTribe remains committed to spreading the message of what these remarkable works of art represent. 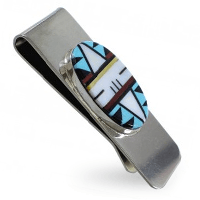 SilverTribe prides itself on its extensive collection of Native American jewelry and fashion jewelry, but the company has never lost sight of the indelible mark left and cultural impact made by the American Southwest. 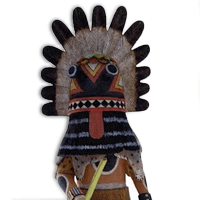 Among the items spotlighted include captivating Kachina dolls and hand-perfected pottery pieces. 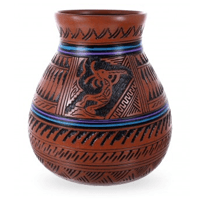 These items that represent such tribes as the Navajo and Hopi tell only part of the legendary tale that defines the desert. In addition to recognizing the amazing achievements of heroes of the past, SilverTribe is also at the forefront of the social media revolution. Facebook, Twitter and Pintrest are just some of the places you can find high quality pictures as well as special discounts and savings on SilverTribe jewelry. 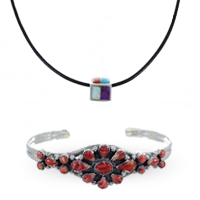 Never before has Native American jewelry been featured online as prominently as it is now. As the scope of information available on the World Wide Web expands, SilverTribe’s worldwide internet presence is expanding along with it. 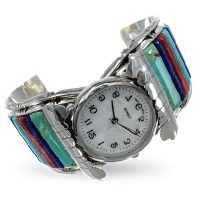 Native American jewelry and fashion jewelry has taken many forms and several shapes throughout the years, and the fashion landscape tends to change as often as the world around it. Keeping up with current fashion trends while also keeping an inventory of enduring items is something few retailers accomplish, let alone strive for. 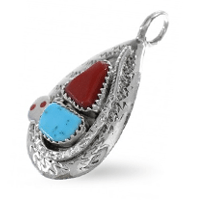 Honoring the tradition of timeless Native American jewelry and Southwestern pieces while also offering customers the freshest forms of fashion jewelry is what SilverTribe does better than anyone on the market today. 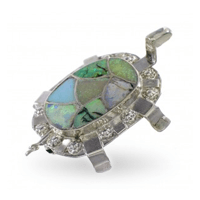 From vintage Native American jewelry and rings worn by icons of yesteryear, to squash blossom necklaces worn by the biggest stars of stage and screen today, SilverTribe is dedicated to providing customers with more Native American jewelry and fashion jewelry options than any other retailer in the world. So what will you find when you explore the vast vaults of SilverTribe jewelry? 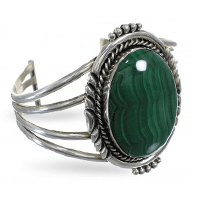 SilverTribe boasts the largest collections of silver jewelry, turquoise jewelry, Native American jewelry and Southwest jewelry you will find on the web. SilverTribe’s collection of silver jewelry is lauded for both its beauty and durability. Beautiful brooches, intricate inlay rings and dazzling dangle earrings are just some of the featured items in the silver jewelry inventory. 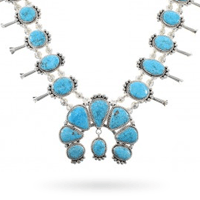 SilverTribe is also tops when it comes to turquoise jewelry. 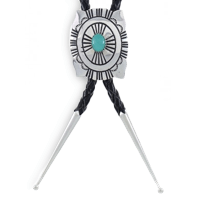 In addition to the widest selection of necklaces and rings online, the turquoise SilverTribe jewelry collection also features an incredible selection of earrings, bracelets, pendants, belt buckles, watches and bolo ties. 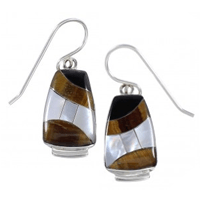 Part of SilverTribe’s focus is to feature fashionable items for all walks of life. Whether you are more comfortable being conservative or need something bold to avoid feeling blasé, you’ll be sure to find something in the SilverTribe jewelry collections to fuel your fashion fire. 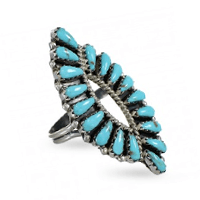 Southwest and Native American jewelry has experienced a surge in popularity over the last decade. While this has led to the continued creation of some of the most beautiful works of art in the world, it also has prompted many imposters to claim their embellished fashion jewelry is authentic. When you make a SilverTribe jewelry purchase, you can rest assured that your exquisite Native American jewelry piece was created by a renowned artist and authenticity is guaranteed. These incredible artisans take every step necessary to ensure that not only will your piece of fashion jewelry or Native American jewelry stand out from the rest, but it will also be able to stand the test of time. While many retailers frequently claim to be leaders in Native American jewelry and fashion jewelry, no name is more respected throughout the industry than SilverTribe. SilverTribe’s selection of traditional Native American jewelry and fine fashion jewelry is truly second to none. 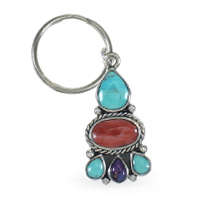 Whether it is traditional turquoise pieces soaked in history and lore, or contemporary coral pieces that turn heads the world over, SilverTribe jewelry has the beauty and craftsmanship that collectors crave, fashionistas flaunt and aficionados admire. 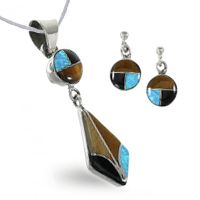 The extensive SilverTribe jewelry collection and incredible prices are just a few of the things that make the popular retailer a giant in the Native American jewelry and fashion jewelry industry. Top-rated customer service, lightning fast and free shipping, as well as a commitment to making sure each and every order is handled with the utmost care sets the fashion jewelry titan apart from the rest. So why should you make your next fashion or Native American jewelry purchase from SilverTribe? That’s the SilverTribe difference! Whether it’s online or on the phone, in your home or on the go, SilverTribe is here to make your next Native American jewelry or fashion jewelry purchase affordable, quick and easy.